Slip back in time in the ancient capital of Thailand. This Ayutthaya tour lets you explore the UNESCO-listed temples and palaces at Ayutthaya Historical Park. Then enjoy afternoon shopping and relax at Ayothaya Floating Market. First, visit Wat Phanan Choeng. The temple was built in 1324 even before Ayutthaya was founded! Admire the gigantic gilded Buddha image. Move on to Wat Yai Chai Mongkhon. The temple was first built by King U-Thong (Ayutthaya's first king) in 1357. Wat Yai Chai Mongkhon is very photogenic with enormous pagodas and rows of Buddha images. Then, we'll visit Wat Mahathat. 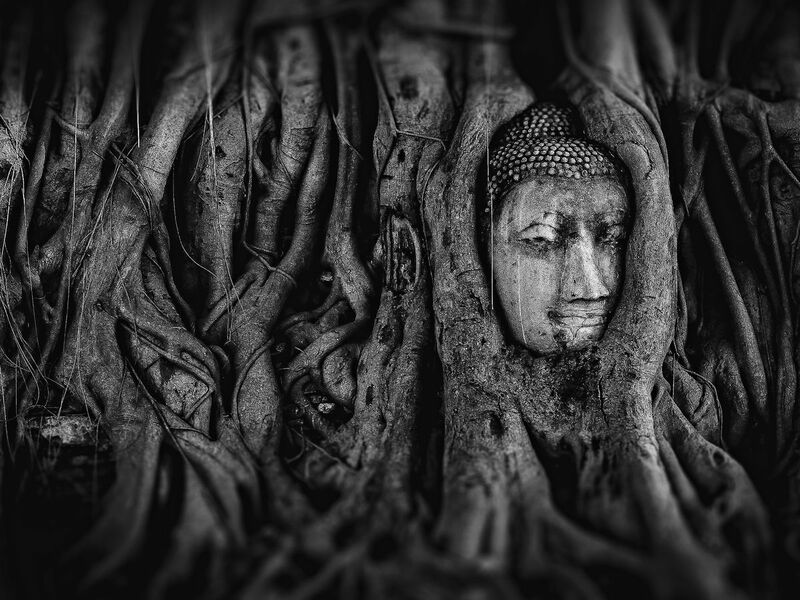 Apart from the iconic Buddha head in the tree roots, the ancient ruin is stunning with Khmer-style stupas. Relax at Ayothaya Floating Market and walk around shopping for souvenirs. Head back to Bangkok. Get some rest on the ride back. Drop off at the meeting point. This one day trip includes must-see historical temples in Ayutthaya and the floating market. It's the best combination for who'd like to see both temples and local livings. We had an absolute blast on our tour with Pranom. She was on time, very communicative, very attentive. She did nice little gestures that made our trip really enjoyable and memorable. Me and my wife loved the fact that she took so many pictures of us as she’s a really wonderful photographer! We had a fantastic day with Mai at Ayutthaya and the floating market. Mai was very knowledgeable and shared lots of interesting historical and cultural information. Mai also helped us to capture some great photos. The temples were beautiful and Mai made the floating market a really fun experience, making sure we tried lots of the Thai desserts which were delicious. Mai was incredibly helpful and thoughtful throughout our trip and her main concern was to ensure we got the most out of our visit. What made the day extra specially was being so well looked after by such a lovely lady.